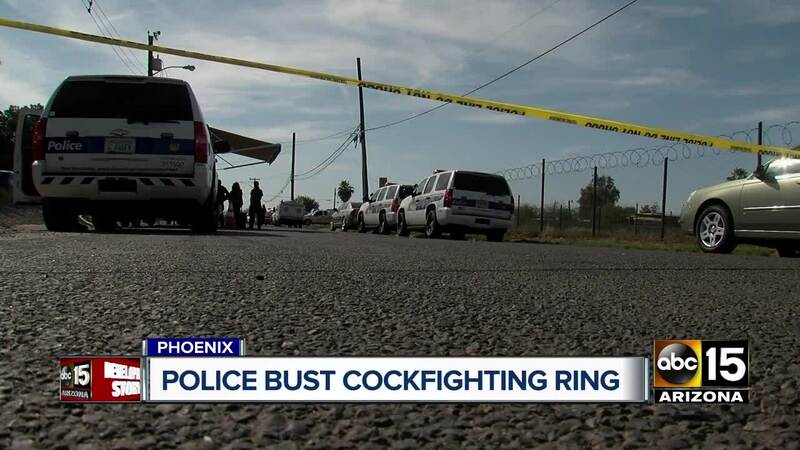 PHOENIX, AZ — At least 27 people have been detained after an alleged cockfighting ring was busted in south Phoenix on Sunday. Phoenix police said The Arizona Humane Society is helping with the investigation near 27th Avenue and Buckeye Road. "This one looks like an operation that has been ongoing for a while, like I said, very sophisticated and very intricate," said Tracy Miller with the Arizona Humane Society. Authorities told ABC15 they found more than 100 animals on the property. Officials said at least one rooster had to be euthanized due to its injuries. 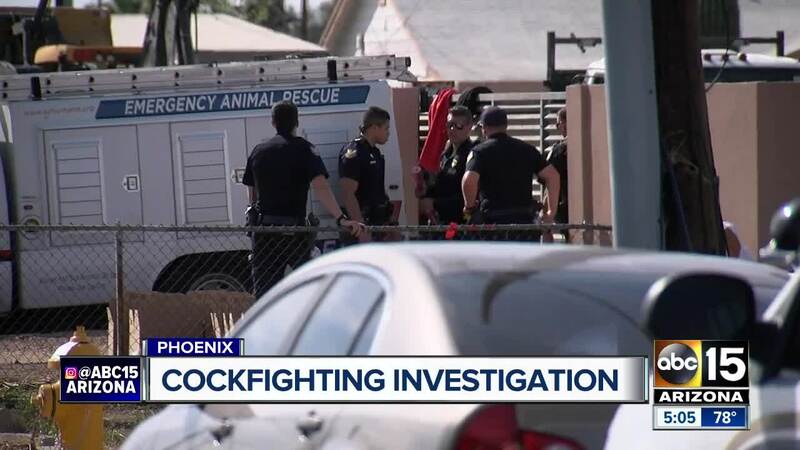 "It's not a very sanitary environment back there for the residents that live out here, and then again a very cruel and inhumane thing to do to the animals that are participating as well," said Phoenix police Lt. Mark Tovar Sr.
Police said the owner of the property was arrested. Authorities have not said if any of the others detained will be charged. Stay with ABC15 News for updates to this developing story.